Nissan updated its corporate governance code, a month after the shock arrest and indictment of former chairman Carlos Ghosn brought differences with partner Renault out in the open after a two-decade partnership. As part of the new code, Nissan clarified its policy on cross-shareholdings, in which two companies hold stakes in each other. The board will examine whether the purpose of each such shareholding is appropriate and whether the benefits and risks cover the cost of capital. A Nissan spokesman said Wednesday the exchange filing on Christmas Day was routine and mandatory to comply with Japanese corporate governance code requirements. The deadline for such submissions was the end of the calendar year and therefore the timing of the release wasn’t unusual. Nissan shares rose as much as 3.3 percent in Tokyo Wednesday and were poised to close higher for the first time in eight trading sessions. Renault is the largest shareholder in Nissan and the Asian company in return is the second-largest shareholder in the French carmaker. The two companies also have minority shareholdings in Germany’s Daimler. Nissan said it also has minority cross-shareholding with other companies. Nissan’s exchange filing comes at a time when Renault asked the Japanese company to call a shareholder meeting to discuss corporate governance issues. Bloomberg News reported earlier that Nissan was shoring up cash to build its firepower amid tensions with Renault. The move comes as the two long-time partners have differed over how they approach the issue of Ghosn’s arrest. Nissan immediately ousted Ghosn as its chairman. Renault kept Ghosn as chairman and CEO while naming its chief operating officer, Thiery Bollore, deputy CEO with Ghosn's operational powers. Renault couldn’t be reached on Christmas Day holiday. A spokesman for the Renault-Nissan-Mitsubishi Motors Corp. alliance didn’t have a comment. Nissan holds a 15 percent stake in Renault with a market value of about $2.8 billion and no voting rights, a position that has been the source of tensions with the French company. Renault owns 43 percent of Nissan, a stake worth almost $14 billion. Acrimony between the two has exploded since the Nov. 19 arrest of the bigger-than-life leader overseeing their alliance. With regards to voting rights of cross-shareholdings, the new Nissan code says the company will consider "whether or not it leads to the improvement of mid to long term corporate value and shareholder interest and exercise our voting-rights properly.” The previous version of the code in July didn’t refer to the possibility of selling cross holdings. 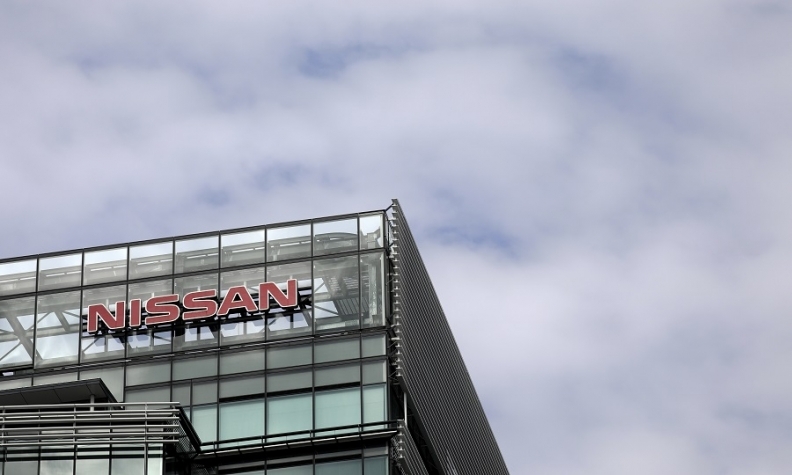 "We will investigate including the option of sale of the shares when continued possession of the shares is judged to be inappropriate as a result of verification of the propriety of such cross-shareholdings,” Nissan’s code also said. The fact that France owns a stake in Renault with voting rights has also been a source of tensions, with Ghosn saying in the past that a merger that was explored between the two would never happen as long as France remains a shareholder. Still, both Nissan, Renault and the French and Japanese governments have praised the alliance. Both companies have publicly said they weren’t looking to reconsider its current structure.